For the 1987 film, see Contagion (1987 film). Contagion is a 2011 American medical action thriller film directed by Steven Soderbergh. 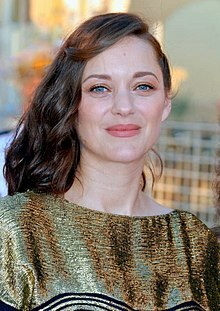 The film features an ensemble cast that includes Marion Cotillard, Bryan Cranston, Matt Damon, Laurence Fishburne, Jude Law, Gwyneth Paltrow, Kate Winslet, and Jennifer Ehle. 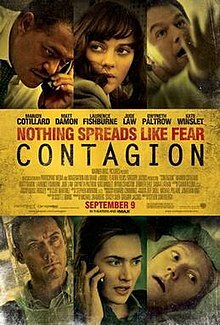 The plot of Contagion concerns the spread of a virus transmitted by fomites, attempts by medical researchers and public health officials to identify and contain the disease, the loss of social order in a pandemic, and finally the introduction of a vaccine to halt its spread. To follow several interacting plot lines, the film makes use of the multi-narrative "hyperlink cinema" style, popularized in several of Soderbergh's films. Soderbergh and screenwriter Scott Z. Burns had collaborated on The Informant! (2009). Following that film's release, Burns brought up the idea of producing a medical thriller film depicting the rapid spread of a virus, which was inspired by various pandemics such as the 2003 SARS epidemic and the 2009 flu pandemic. To devise an accurate perception of a pandemic event, Burns consulted with representatives of the World Health Organization as well as noted medical experts such as W. Ian Lipkin and Lawrence "Larry" Brilliant. Principal photography started in Hong Kong in September 2010, and continued in Chicago, Atlanta, London, Geneva, and San Francisco until February 2011. Contagion premiered at the 68th Venice Film Festival in Venice, Italy on September 3, 2011, and went on general release on September 9. The film was acclaimed by critics, who praised the narratives and the performances of various actors and actresses. It was also well received by scientists, who praised its accuracy. Commercially, the film was a box office success. Budgeted at $60 million, Contagion took $135 million in box office revenue during its theatrical run. Returning from a Hong Kong business trip, Beth Emhoff has a layover in Chicago to rendezvous with a former lover before returning to her family in Minneapolis. She appears to have contracted a cold during her trip. Her six-year-old son from a previous marriage, Clark, also becomes sick and is sent home from school. Beth's condition worsens and two days later she collapses with severe seizures. Her husband, Mitch, rushes her to the hospital, but she dies of an unknown cause. Mitch returns home and finds that Clark has also died from a similar infection. Mitch is placed in isolation, but seems to be immune to the disease. He is released and returns home to his teenage daughter Jory, though they are unsure if she's inherited his immunity. She decides to stay with her father regardless. Mitch struggles with learning his wife was unfaithful, and protecting his daughter from infection. Meanwhile, everyone who had contact with Emhoff begins to spread the disease around the world. In Atlanta, representatives of the Department of Homeland Security meet with Dr. Ellis Cheever of the CDC and fear that the disease is a bio weapon terror attack over the Thanksgiving weekend. Dr. Cheever dispatches Dr. Erin Mears, an Epidemic Intelligence Service officer, to Minneapolis to begin investigating. Mears traces the outbreak to Emhoff, but after setting up triage camps in large venues, Dr. Mears becomes infected. Her evacuation is postponed, as airports close ahead of a quarantine. She later dies and is buried in a mass grave. As more and more people become infected with no cure in sight, social order begins to decay, with rampant looting of stores and homes. The U.S. President is moved underground while emergency services suffer absenteeism and no longer respond. Mitch and Jory attempt to escape to Wisconsin, but the borders are closed. At the CDC, Dr. Ally Hextall determines the virus is a mix of genetic material from pig and bat viruses. Work on a cure stalls because scientists cannot discover a cell culture within which to grow the newly named Meningoencephalitis Virus One (MEV-1). UCSF professor Dr. Ian Sussman violates orders from the CDC to destroy his samples, and on Day 12, with over 8 million already infected, identifies a usable MEV-1 cell culture using bat cells. Hextall uses the breakthrough to start work on a vaccine. Other scientists determine the virus is spread by fomites with a basic reproduction number of four, projecting that 1 in 12 (8.3%) of the world will be infected, with a 25-30% mortality rate. Conspiracy theorist Alan Krumwiede posts videos about the virus on his popular blog. In one video, he shows himself sick, and later shows he 'recovered' using a herbal cure derived from forsythia. In a panic, people seeking forsythia overwhelm pharmacies. Krumwiede's claims attract national attention. During a television interview, he reveals that Dr. Cheever had secretly told his fiancé to leave Chicago before the city was quarantined. Cheever is informed the government may charge him for leaking information. Later, it is revealed Krumwiede had faked being infected in an attempt to increase profits for forsythia investors. He is arrested for conspiracy, securities fraud and manslaughter, but is released when his many supporters successfully raise his bail. Using an attenuated virus, Dr. Hextall identifies a possible vaccine. To cut out the lengthy testing process, she inoculates herself with it and visits her father, who is infected. Hextall does not contract MEV-1, and the vaccine is declared a success. The vaccine supply can't meet demand, so the CDC awards vaccinations with a one-year birth date lottery (first responders, doctors, and others exempt). Meanwhile, Mitch and Jory reconcile with the hope of life going back to normal. In the opening days, Dr. Leonora Orantes, a WHO epidemiologist, traveled to Hong Kong to follow the Beth Emhoff lead. She collaborates with Sun Feng, a Chinese official, and other local epidemiologists to identify Emhoff as patient zero, with security footage showing her in contact with the next three victims at a Macau casino. Before she can leave, Feng kidnaps Orantes, using her as leverage to obtain (anticipated) MEV-1 vaccines for his village. Orantes spends months living with the villagers until the vaccine arrives, and she is released. When her colleague tells her that similar kidnappings were widespread, and the doses were placebos, Orantes rushes back to warn the villagers, exhibiting Stockholm Syndrome. By Day 26, the death toll had reached at least 2.5 million in the U.S. and 26 million worldwide. The discovery, production and initial deliveries of vaccine took until Day 133, with vaccinations to run until nearly Day 500. The final death toll is not seen. Dr. Hextall places samples of MEV-1 in cryogenic storage, alongside samples of H1N1 and SARS. The source of the virus is revealed to viewers. A bulldozer owned by AIMM Alderson, the same company Beth worked for, clears some jungle and disturbs a bat, who takes food from a banana tree. That bat flies over a pig pen, dropping a chunk of banana, which is then eaten by a piglet. A chef from the Macau casino buys the piglet. As he handles the carcass in the kitchen, he does not wash his hands when called to meet a customer – Beth Emhoff. The chef shakes hands with Beth, giving her the mix of bat and pig viruses, making her patient zero. Orantes' main objective is to trace the origins of the MEV-1 pathogen. Cotillard, a fan of Soderbergh's work, first met with the director in Los Angeles, California. The French actress was enthralled with the script because she was "very concerned about germs. I've always been ... scared, in a way, by all of those disease[s]. So ... it was really something I was really interested." Soderbergh said that Orantes "gets dropped into situations and has to deal with cultural as well as scientific issues that are sometimes at odds", and notes that she has a "professional" yet stubborn, "remote", and "dispassionate" demeanor, though "something happens to her in the course of the story that causes a significant emotional shift." 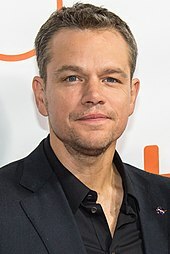 Matt Damon, a frequent collaborator of Soderbergh's, was chosen to portray Mitch Emhoff. Damon viewed his character as the embodiment of the "everyman"—an individual that is seen as "one of the human faces of the supervirus" following his wife and stepson's deaths. Soderbergh also noted Mitch's "common individual" lack of medical and scientific knowledge, though keeping the situation dynamic and compelling was challenging for the director, as he was concerned that Emhoff would be a one-dimensional character. Soderbergh felt that Damon understood the concept and addressed the producers' concerns. "You never catch him acting", said Soderbergh. "There's no vanity, no self-consciousness in his performance; it's as if the cameras aren't there." Writer Scott Z. Burns sent him a copy of the script with a "read this and then go wash your hands" note attached to it. Damon recalled: "I just really want to be in this movie. It was a terrific, riveting, really fast read and really exciting and really horrifying, but managed to be really touching." Soderbergh admired Fishburne's ability to portray an emphatic and assertive figure in previous films. To Fishburne, Cheever was a "smart", "competent" physician who often epitomized a "voice of reason". Once he conferred with W. Ian Lipkin, a virologist and professor at Columbia University, the character's complexities were nonexistent for the actor. Fishburne stated, "The personal stuff that I have as Ellis Cheever was telling my fiancée, soon-to-be wife, Sanaa Lathan, to get out of town, to leave, to pack up, to not talk. That's really easy. Any human being in that situation is going to do that, I think." Krumwiede is an ardent conspiracy theorist who, according to Law, is the so-called index patient for "what becomes a parallel epidemic of fear and panic". "We definitely wanted him to have a messianic streak", said Soderbergh, whom Law talked to during the character's creating process. The two men discussed the appearances and the behaviors of a typical anti-government conspiracy theorist. Producer Gregory Jacobs commented that "what's interesting is that you're not really sure about him. Is the government really hiding something and does the herbal remedy he's talking about really work? I think we all suspect at one time or another that we're not getting the whole truth, and in that sense Krumwiede represents the audience's point of view." A "working mom", as described by Paltrow, Elizabeth is an adulterer and the central figure in the detective process. Despite being among the virus' first victims, Paltrow believed that Elizabeth was "lucky", as she thought the disease's survivors were being left to deal with the newly difficult conditions of everyday life, such as finding food and potable water. When on location in Hong Kong, Paltrow was instructed by Soderbergh to take photographs to be used in the film, and admitted she was apprehensive about the assignment. "I was just another tourist taking pictures", she said, and added, "I did feel a little pressure. When Steven Soderbergh gives you a photo assignment, you had better come back with something decent." Kate Winslet traveled to the Centers for Disease Control and Prevention, where she met with many of the employees to research her character. In researching her character, Winslet traveled to the Centers for Disease Control and Prevention (CDC) in Atlanta, Georgia, where she consulted with current and former officers of the Epidemic Intelligence Service to receive insight on not only the daily life, but on the type of person qualified for the occupation. "These are people who can be sent into war zones where there's been an outbreak of a new virus. Fear is not an option. If they feel it, they learn to push it aside." Winslet felt that Mears was able to bring the epidemic "down to the layman's level" so the viewer could comprehend the scope of it without the science dragging the story down. Soderbergh had seen Ehle's performance in Michael Clayton (2007), though it was ultimately cut prior to the film's release, and it prompted him to offer her a role in Contagion. He "had known who Jennifer was for a long time, and this didn't take a lot of thought, honestly". A research scientist at the University of California San Francisco, a medical campus, Sussman identifies a cell culture capable of growing the virus. Han spoke of his character's development: "He starts off as a button-down, serious ... government official, and then as the movie progresses ... you find out a different side of him and his secret agenda." Concerted efforts to devise Contagion coincided with Burns' collaboration with Soderbergh in The Informant! (2009). The duo had initially planned to create a biographical film on Leni Riefenstahl, a trailblazer in German cinema during the 1930s and a figure in the rise of the Nazi Party. Soderbergh later contacted Burns to cancel the project, as he thought that a film about Riefenstahl would struggle to attract an audience. Intrigued with the field of transmission, Burns suggested that they instead create a film that centered on a pandemic situation—"an interesting thriller version of a pandemic movie". His main objective was to construct a medical thriller that "really felt like what could happen". Burns consulted with Lawrence "Larry" Brilliant, renowned for his work in eradicating smallpox, to develop an accurate perception of a pandemic event. He had seen one of Brilliant's TED presentations, which he was fascinated by, and realized that "the point of view of people within that field isn't 'If this is going to happen', it's 'When is this going to happen?'" Brilliant introduced Burns to another specialist, W. Ian Lipkin. With the aid of these physicians, the producers were able to obtain additional perspectives from representatives of the World Health Organization. Burns also met with the author of The Coming Plague, Laurie Garrett. Her 1995 book helped Burns consider a variety of potential plots for the film. He wanted to feature an official from the CDC, and ultimately decided to use an epidemiologist, since that role requires interacting with people while tracking the disease. Although he had done research on pandemics six months prior to the 2009 flu pandemic, the outbreak was "really helpful" to his studies, because it provided a glimpse of the societal apparatus following the onset stages of a pandemic. To him, it was not solely the virus itself that one had to be concerned about, but how society handles the situation. "I saw them come to life", Burns said, "and I saw issues about, 'Well, do you close the schools and if you close the schools, then who stays home with the kids? And will everyone keep their kids at home?' Things happening online, which is where the Jude Law character came from, that there's going to be information that comes out online where people want to be ahead of the curve, so some people will write things about anti-virals or different treatment protocols, and so there's always going to be an information and that information also has sort of a viral pulse." Some of Chicago's landscape provided for the setting of Minneapolis and Atlanta. The hostage exchange scene was filmed in Tsuen Wan Chinese Permanent Cemetery, Hong Kong. We can't cut to a city or a group of extras that we've never been to that we don’t know personally. That was our rule. And that’s a pretty significant rule to adhere to in a movie in which you're trying to give a sense of something that’s happening on a large scale, but we felt that all of the elements that we had issues with prior, when we see any kind of disaster film, we're centered around that idea. Principal photography started in Hong Kong in September 2010, and continued for approximately two weeks. Soderbergh was originally hoping to also film in mainland China, though Moviefone journalist David Ehrlich believed that permission from the Chinese government was unlikely to be forthcoming. Although producers also intended to establish a filming location in one of the many casinos in Macau, the Jumbo Floating Restaurant in Hong Kong's Aberdeen Harbour was used instead for the casino setting, as filming within the vicinity of a gambling establishment is prohibited by law. To move the equipment for the casino scenes to the on-the-water location, producers hired a number of locals to carry out the task, as they were accustomed to "using sampans like trucks". Additional locations included the Hong Kong International Airport, InterContinental Hong Kong, and the Princess Margaret Hospital. Principal photography relocated in the following month to Chicago, Illinois, which served as the nexus for production. Much of the cityscape and its surrounding suburbs were used to emulate Minneapolis, Minnesota, and Atlanta, Georgia, in addition to serving as backdrop for Chicago itself. Since principal photography occurred during the winter months, snowfall was a prerequisite in simulating a "persistent coldness" that encompassed "a hypersensitive kind of glare". Within the city limits, filming locations were installed at the Shedd Aquarium, O'Hare International Airport, and the Midway Airport. Arguably the largest sets were at the General Jones Armory, which was converted into an infirmary, and a major location shoot occurred in Waukegan, where a portion of the Amstutz Expressway was used to simulate the Dan Ryan Expressway. Production also took place at Sherman Hospital in Elgin and Central Elementary School in Wilmette, and also in Downtown Western Springs, where the grocery store scene was filmed. Filming moved once again in January 2011 to the Druid Hills quadrant of Atlanta, which contains the headquarters of the Centers for Disease Control and Prevention. The restricted nature of the CDC campus meant that producers were only allowed to shoot exterior scenes of the area, as well as within the parking garage and reception area for the CDC's museum onsite. Principal photography then proceeded into Atlanta's central business district and Decatur, before advancing to London, Geneva, and lastly San Francisco, California, in the ensuing month. The San Francisco Film Commission charged filmmakers $300 per day for production within the city limits. In the North Beach and Potrero Hill sections of the city, production designer Howard Cummings scattered trash and discarded clothing on the ground to depict the rapid decline of civilization. For the Civic Center set, over 2,000 extras were sought for in background roles; actors who were a part of the Screen Actors Guild were paid $139 per day, while nonunion workers received $64 per day for their work. Other filming locations were established at Golden Gate Park, Chinatown, and Candlestick Park; it cost $60,000 to rent the football stadium for six days. Cliff Martinez composed the film's soundtrack, which was his first big-screen score for Soderbergh since Solaris in 2002. Given that the pacing of the music was one of Soderbergh's biggest concerns, Martinez needed to maintain a brisk pace throughout the soundtrack, while also conveying fear and hope within the music. "I tried to create the sound of anxiety. And at key, strategic moments I tried to use the music to conjure up the sense of tragedy and loss." Martinez incorporated orchestral elements, and fused them with the predominantly electronic sounds of the score. He noted that the "sound palette for Contagion came by way of combining three very different approaches Steven went through as he was cutting the film." Martinez received a rough cut for the film in October 2010, which contained music that was imbued with elements of The French Connection (1971) and Marathon Man (1976). He "loved" those two soundtracks, and composed a few pieces in their style. A few months later, he acquired a new cut, which included music influenced by German electronic group Tangerine Dream. Toward the end, Soderbergh changed again and used contemporary soundtrack music that was "more energetic and more rhythmic". Ultimately, Martinez used aspects of all three approaches: "I reasoned that combining them would not only be effective but would give the score a style all its own." 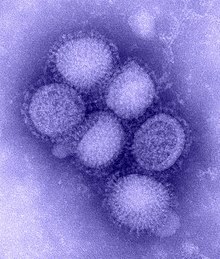 An electron microscope image of the H1N1 influenza virus. The 2009 flu epidemic was a key influence on the creation of Contagion. An electron microscope image of the SARS virus. The 2003 SARS outbreak was also an inspiration and influence of Contagion. Steven Soderbergh was motivated to make an "ultra-realistic" film about the public health and scientific response to a pandemic. The movie touches on a variety of themes, including the factors which drive mass panic and collapse of social order, the scientific process for characterizing and containing a novel pathogen, balancing personal motives against professional responsibilities and rules in the face of an existential threat, the limitations and consequences of public health responses, and the pervasiveness of interpersonal connections which can serve as vectors to spread disease. Soderbergh acknowledged the salience of these post-apocalyptic themes is heightened by reactions to the September 11 attacks and Hurricane Katrina. The movie was intended to realistically convey the "intense" and "unnerving" social and scientific reactions to a pandemic. The recent real-life epidemics such as the 2003 SARS epidemic and the 2009 flu pandemic have been inspirations and influences in the film. The chain of contagion involving bats and pigs is reminiscent of the trail of the Nipah virus (which infects cells in the respiratory and nervous systems, the same cells as the virus in the movie) that originated in Malaysia in 1997, which similarly involved the disturbance of a bat colony by deforestation. The film presents examples of crowd psychology and collective behavior which can lead to mass hysteria and the loss of social order. The bafflement, outrage, and helplessness associated with the lack of information, combined with new media such as blogs, allow conspiracy theorists like Krumwiede to spread disinformation and fear, which become dangerous contagions themselves. Dr. Cheever must balance the need for full disclosure but avoid a panic and allow the time to characterize and respond to an unknown virus. The movie indirectly critiques the greed, selfishness, and hypocrisy of isolated acts in contemporary culture and the unintended consequences they can have in the context of a pandemic. For example, the Centers for Disease Control and Prevention recommends social distancing by forcibly isolating the healthy to limit the spread of the disease, which stands in stark opposition to contemporary demands for social networking. Responding to the pandemic presents a paradox, as the contagiousness and lethality of the virus instills deep distrust of others but surviving and limiting the spread of the disease also requires individuals to work together. Against this existential threat and fraying social order, the film also explores how individual characters bend or break existing rules for both selfish and selfless reasons. Dr. Hextall violates protocols by testing a potential vaccine on herself, Dr. Sussman continues experiments on a cell line despite orders to destroy his samples, Dr. Cheever notifies his fiancé to leave the city before a public quarantine is imposed, Sun Feng kidnaps Dr. Orantes to secure vaccine supplies for his village, Dr. Mears continues her containment work despite contracting the virus, and Krumwiede is paid to use his blog to peddle snake oil cures so as to drive demand and profit for investors in Alternative Medicine. Soderbergh repeatedly uses the cinematographic style of lingering and focusing on the items and objects which are touched by the infected and become vectors (fomites) to infect other people. These objects link characters together and reinforce the multi-narrative hyperlink cinema style which Soderbergh developed in Traffic (2000) and Syriana (2005), which he produced. The story also highlights examples of political cronyism (a plane to evacuate Dr. Mears from Minneapolis is instead diverted to evacuate a Congressman), platitudes and rigid thinking (public health officials consider postponing the closing of shopping malls until after the Thanksgiving shopping season), federal responders trying to navigate 50 separate state-level public health policies, and the heroism of Federal bureaucrats. Soderbergh does not use type-cast pharmaceutical executives or politicians as villains, but instead portrays bloggers such as Krumwiede in a negative light. Social media plays a role in Krumwiede's accusations against Dr. Cheever and in Emhoff's daughter's attempts to carry on a relationship with her boyfriend through text messaging. Other responses in the movie, such as Emhoff's appropriating a shotgun from a friend's abandoned house to protect his home from looters, imposition of federal quarantines and curfews, the allocation of vaccines by lottery, inadequate federal preparation and responses, and use of bar-coded wristbands to identify the inoculated highlight the complex tensions between freedom and order in responding to a pandemic. Soderbergh uses Emhoff to illustrate the micro-effects of macro-level decisions. Contagion premiered on September 3, 2011 at the 68th Venice Film Festival in Venice, Italy, and a wider release followed on September 9. In the United States and Canada, Contagion was shown in 3,222 theaters, of which 254 screenings occurred at IMAX venues. Various American commercial analysts anticipated that the film would have ticket sales of between $20 million and $25 million during its opening weekend, which it did, grossing $8 million on its first day, and $23.1M for the entire weekend. Of that total, ten percent ($2.3M) of the gross came from IMAX screenings. By outgrossing competitor The Help ($8.7M), Contagion became the highest-grossing film of the week. Demographically, the opening audience was evenly divided among gender, according to Warner Bros., while eighty percent of spectators were of the age of 25 and over. Contagion did well the following weekend, generating a $14.5M box office, but came in second to the re-release of The Lion King (1994). The third week saw the box office drop by forty percent, for a total gross of $8.7M. By the fourth week, Contagion had dropped to ninth place at the box office with $5M, and the number of theaters narrowed to 2,744. The film completed its theatrical run on December 15, 2011, at which point its total domestic gross was $75.6M. Contagion made its international debut in six foreign markets the same weekend as its American release, including Italy, where it achieved $663,000 from 309 theaters. The first week saw Contagion acquire $2.1M from 553 establishments—a per-theater average of $3,797. Foreign grosses for Contagion would remain relatively stagnant up until the weekend of October 14–16, 2011, when the film expanded into several additional European markets. Out of the $3.9M that was generated from 1,100 venues during that weekend, nearly 40% of the gross originated from Spain, where the film earned $1.5M from 325 theaters. With the growing expansion of the film in seven additional markets, the weekend of October 21–23, 2011 saw Contagion take in $9.8M from 2,505 locations, increasing the international gross to $22.9M. In the United Kingdom, one of the film's significant international releases, Contagion opened in third place at the box office with $2.3M from 398 theaters; it subsequently garnered the highest debut gross of a Soderbergh film since Ocean's Thirteen (2007). International grosses for Contagion stand at $59.8M. Contagion has received positive reviews by film commentators. On review aggregator Rotten Tomatoes the film has achieved a score of 84% based on 251 reviews, with an average rating of 7.1/10. The website's critical consensus states, "Tense, tightly plotted, and bolstered by a stellar cast, Contagion is an exceptionally smart—and scary—disaster movie." On Metacritic, which assigns a normalized rating out of 100 based on the critiques from mainstream critics, the film received an average score of 70 based on 38 reviews. The Guardian journalist Peter Bradshaw felt that Contagion blended well together as a film, although opined that Soderbergh was somewhat unsuccessful on channeling the fears, frights, and "the massive sense of loss" of "ordinary people". To David Denby of The New Yorker, the "brilliant" film was "serious, precise, frightening," and "emotionally enveloping". Despite applauding Soderbergh for "hopscotching" tidily "between the intimate and international", The Atlantic's Christopher Orr was disappointed with the film's detached and "clinical" disposition, which led him to conclude that Contagion should have gone with a more inflexible rationale, or a lesson "beyond 'wash your hands often and hope you're lucky'." "For all the craft that went into it, Contagion is ultimately beyond good or bad, beyond criticism. It just is," professed The Atlantic writer. Described as a "smart" and "spooky" installment, Manohla Dargis of The New York Times wrote, "Mr. Soderbergh doesn't milk your tears as things fall apart, but a passion that can feel like cold rage is inscribed in his images of men and women isolated in the frame, in the blurred point of view of the dying and in the insistent stillness of a visual style that seems like an exhortation to look." In regards to the story, Salon columnist Andrew O'Hehir avouched that the "crisp" and succinct narrative matched up to the "beautifully composed" visuals of the film. Todd McCarthy of The Hollywood Reporter proclaimed that Soderbergh and Burns effectively created anxiety in the "shrewd" and "unsensationalistic" film without becoming exaggerated, a sentiment echoed by Jeanette Catsolis of NPR, who insisted that the duo "weave multiple characters into a narrative that's complex without being confusing, and intelligent without being baffling". Writing for The Village Voice, Karina Longworth thought that Contagion reflected the "self-consciousness" and "experimentation" of some of Soderbergh's previous efforts, such as the Ocean's trilogy and The Girlfriend Experience (2009). The performances of multiple cast members were frequently mentioned in the reviews. Lou Lumenick of New York Post asserted that Ehle was "outstanding", a view that was analogous to that of The Boston Globe journalist Wesley Morris, who praised not only Ehle's performance, but the work of the "undercard" such as Cranston, Gould, and Colantoni, among others. Similarly, Peter Travers of Rolling Stone called Ehle the "best in show". As Los Angeles Times' Kenneth Turan summed up, "Two-time Tony-winning actress Jennifer Ehle comes close to stealing the picture with this quietly yet quirkily empathetic performance." In regards to Law, The Philadelphia Inquirer's Steven Rea stated that the actor portrayed the character with a "nutty" confidence; Mick LaSalle from the San Francisco Chronicle agreed with Rea's thoughts. Damon provided the film's "relatable heart", according to Forrest Wickman of Slate, who concluded that even with her controlled performance, Winslet "lives up to her head-of-the-class reputation even in an unusually small role". The character development of multiple characters produced varying response from critics. Contrary to Mitch's stance as the main protagonist, Michael O'Sullivan of The Washington Post felt that Contagion "treats him with an oddly clinical detachment". In particular Law's character, Alan Krumwiede, attracted commentary from Roger Ebert of the Chicago Sun-Times, who wrote, "The blogger subplot doesn't interact clearly with the main story lines and functions mostly as an alarming but vague distraction." Ferris Jabr of New Scientist approved of Contagion for accurately portraying the "successes and frustrations" of science. Jabr cites story elements such as "the fact that before researchers can study a virus, they need to figure out how to grow it in cell cultures in the lab, without the virus destroying all the cells" as examples of accurate depictions of science. Carl Zimmer, a science writer, praised the film, stating, "It shows how reconstructing the course of an outbreak can provide crucial clues, such as how many people an infected person can give a virus to, how many of them get sick, and how many of them die." He also describes a conversation with the film's scientific consultant, W. Ian Lipkin, in which Lipkin defended the rapid generation of a vaccine in the film. 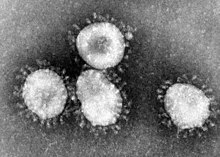 Zimmer wrote that "Lipkin and his colleagues are now capable of figuring out how to trigger immune reactions to exotic viruses from animals in a matter of weeks, not months. And once they've created a vaccine, they don't have to use Eisenhower-era technology to manufacture it in bulk." Paul Offit, a pediatrician and vaccination expert, stated that "typically when movies take on science, they tend to sacrifice the science in favor of drama. That wasn't true here." Offit appreciated the film's usage of concepts such as R0 and fomites, as well as the fictional strain's origins, which was based on the Nipah virus. Contagion was released on DVD and Blu-ray in North America on January 3, 2012, and in the United Kingdom on March 5, 2012. In its first week of release, the film topped the DVD chart with 411,000 units sold for $6.16 million. That same week it sold 274,000 Blu-ray copies for $4.93 million, topping that chart as well. DVD sales dropped during the second week of release, with 193,000 units sold for $2.89 million. As of early July 2012, Contagion had sold 802,535 copies in DVD, for $12.01 million in revenue. ^ a b c d "Contagion (2011)". Box Office Mojo. Retrieved October 10, 2011. ^ "Contagion (2011) - Steven Soderbergh". AllMovie. ^ "Contagion (2011) - Genre". Turner Classic Movies. ^ a b "Contagion Video Interviews with Marion Cotillard, Laurence Fishburne, Kate Winslet and Jennifer Ehle". Dread Central. September 6, 2011. Retrieved June 26, 2012. ^ a b c d e f g h i j k l m n o p q r s t u v w x y z aa "Contagion: Production Notes" (PDF). Visual Hollywood. Archived from the original (PDF) on September 7, 2017. Retrieved June 25, 2012. ^ Passafuime, Rocco (September 8, 2011). "Matt Damon". The Cinema Source. Retrieved June 26, 2012. ^ a b c d e f g h i j k l Douglas, Edward (September 6, 2011). "CS Interview: Contagion Writer Scott Z. Burns". ComingSoon.net. Retrieved June 25, 2012. ^ a b c d Houx, Damon (September 9, 2011). "Interview: Steven Soderbergh, Matt Damon and Laurence Fishburne on Contagion". Screen Crave. Retrieved June 27, 2012. ^ Barclay, Eliza (September 14, 2011). "'Contagion': CDC Basks In Hollywood's Admiring Take On Disease Detectives". Shots: NPR's Health Blog. National Public Radio. Archived from the original on September 16, 2011. Retrieved September 16, 2011. ^ "Contagion Video Interviews with Matt Damon, Jude Law, Gwyneth Paltrow, Bryan Cranston And Chin Han". Dread Central. September 7, 2011. Retrieved July 13, 2012. ^ Jannard, Jim (September 9, 2011). "Contagion". Reduser.net. Question: So, when it was all said and done, how much of the film was shot with the MX, and how much with the EPIC, Jim? James Jannard: 100% MX. And Steven called the grade. ^ Jenco, Melissa (September 9, 2011). "Soderbergh: Chicago area was 'beautiful and vibrant' place to film 'Contagion'". Chicago Tribune. Tribune Company. Retrieved June 25, 2012. ^ Ehrlich, David (September 3, 2010). "Soderbergh to Shoot 'Contagion' in Hong Kong". Moviefone. Retrieved June 25, 2012. ^ "'Contagion' begins shooting in Chicago". Chicago Tribune. Tribune Company. October 19, 2010. Retrieved June 25, 2012. ^ Moran, Dan (November 4, 2010). "Helicopters will cruise Amstutz". Chicago Sun-Times. Sun-Times Media Group. Archived from the original on March 9, 2013. Retrieved July 10, 2012. ^ a b Brett, Jennifer (January 6, 2011). "Matt Damon, Jude Law movie "Contagion" filming at CDC". Atlanta Journal-Constitution. Cox Enterprises. Archived from the original on March 3, 2012. Retrieved June 26, 2012. ^ a b c Kekler, Kamala (February 23, 2011). "'Contagion' to complete SF filming with Candlestick extravaganza". The San Francisco Examiner. San Francisco Newspaper Company LLC. Retrieved June 26, 2012. ^ "Starstruck San Franciscans Screwing Up Contagion Filming In Civic Center". Bay City News. February 11, 2011. Retrieved June 26, 2012. ^ a b c d e f g Kasman, Daniel (September 27, 2011). "Between Music and Sound Design: An Interview with Composer Cliff Martinez". MUBI. Retrieved January 31, 2012. ^ Zhuravsky, Mark (October 9, 2011). "'Contagion' & 'Drive' Composer Talks Working With Soderbergh, Nicolas Winding Refn & Possibly Working On 'Only God Forgives'". indieWire. Snagfilms. Retrieved January 31, 2012. ^ "Steven Soderbergh Interview, Contagion". MoviesOnline. September 13, 2011. Retrieved June 27, 2012. ^ a b c d e Denby, David (September 9, 2011). "Call The Doctor". The New Yorker. Condé Nast Publications. Retrieved June 27, 2012. ^ a b Hoffman, Jordan (September 7, 2011). "Steven Soderbergh Interview". UGO. Retrieved June 27, 2012. ^ Sawatsky; et al. (2008). "Hendra and Nipah Virus". Animal Viruses: Molecular Biology. Caister Academic Press. ISBN 978-1-904455-22-6. ^ a b Lumenick, Lou (September 8, 2011). "Catch it!". New York Post. News Corporation. Retrieved June 27, 2012. ^ a b c d O'Hehir, Andrew (September 8, 2011). "A pandemic from which even Gwyneth isn't safe". Salon. Salon Media Group. ^ a b Ranier, Peter (September 9, 2011). "Contagion: movie review". Christian Science Monitor. Christian Science Publishing Society. Retrieved June 27, 2012. ^ a b c Longworth, Karina (September 7, 2011). "Steven Soderbergh Says We're Killing Ourselves in Contagion". The Village Voice. Village Voice Media. Retrieved June 27, 2012. ^ a b c d Wickman, Forrest (September 9, 2011). "Steven Soderbergh's Contagion". Slate. The Washington Post Company. Retrieved June 27, 2012. ^ Edelstein, David (September 9, 2011). "Movie Review: Contagion, the Most High-Minded Disaster Movie Ever Made". New York. New York Media. Retrieved June 27, 2012. ^ a b Dargis, Manohla (September 8, 2011). "Contagion (2011)". The New York Times. The New York Times Company. Retrieved June 27, 2012. ^ a b Morris, Wesley (September 9, 2011). "Movie Review:Contagion". Boston Globe. The New York Times Company. Retrieved June 27, 2012. ^ Corliss, Richard (September 4, 2011). "Soderbergh's Contagion: Don't Touch Gwyneth Paltrow!". Time. Time Inc. Retrieved June 27, 2012. ^ a b Catsoulis, Jeannette (September 8, 2011). "'Contagion': When Person To Person Is A Bad Call". NPR. Retrieved June 27, 2012. ^ Lyman, Eric J. (September 7, 2011). "Venice Film Festival Day 6: 'Tinker, Tailor' Bows, Al Pacino Honored". The Hollywood Reporter. Prometheus Global Media. Retrieved June 28, 2012. ^ a b Kaufman, Amy (September 9, 2011). "'Contagion' to eradicate 'The Help' as top box-office draw". Los Angeles Times. Tribune Company. Retrieved June 28, 2012. ^ a b Kilday, Gregg (September 8, 2011). "Box Office Preview: 'Contagion' Aims to Knock 'The Help' Out of No. 1 Spot". The Hollywood Reporter. Prometheus Global Media. Retrieved June 28, 2012. ^ McClintock, Pamela (September 10, 2011). "Box Office Report: Steven Soderbergh's 'Contagion' Winning Weekend Race". The Hollywood Reporter. Prometheus Global Media. Retrieved June 28, 2012. ^ a b c McClintock, Pamela (September 11, 2011). "Box Office Report: Steven Soderbergh's 'Contagion' Wins Weekend with $23.1 Mil". The Hollywood Reporter. Prometheus Global Media. Retrieved June 28, 2012. ^ Stewart, Andrew (September 11, 2011). "'Contagion' tops weekend B.O." Variety. Reed Business Information. Retrieved June 28, 2012. ^ Gray, Brandon (September 11, 2011). "Weekend Report: 'Contagion' Catches On". Box Office Mojo. Retrieved September 11, 2011. ^ McClintock, Pamela (September 17, 2011). "Box Office Report: 'The Lion King' Roars Again, Capturing $29.3 Million". The Hollywood Reporter. Prometheus Global Media. Retrieved June 28, 2012. ^ McClintock, Pamela (September 25, 2011). "Box Office Report: 'Lion King' Roars with $22.1 Mil in Surprise Upset Over Brad Pitt's 'Moneyball' and 'Dolphin Tale'". The Hollywood Reporter. Prometheus Global Media. Retrieved June 28, 2012. ^ McClintock, Pamela (October 2, 2011). "Box Office Report: 'Dolphin Tale' Swims to No. 1 in its Second Weekend with $14.2 Mil". The Hollywood Reporter. Prometheus Global Media. Retrieved June 28, 2012. ^ a b Segers, Frank (September 11, 2011). "Foreign Box Office: 'The Smurfs' Squeak Out Another Victory Overseas". The Hollywood Reporter. Prometheus Global Media. Retrieved June 28, 2012. ^ a b Segers, Frank (October 16, 2011). "Foreign Box Office: 'Real Steel' Takes No. 1 For Second Straight Weekend". The Hollywood Reporter. Prometheus Global Media. Retrieved June 28, 2012. ^ a b Segers, Frank (October 23, 2011). "Foreign Box Office: 'Paranormal Activity 3' Tops Soft Weekend Action Overseas". The Hollywood Reporter. Prometheus Global Media. Retrieved June 28, 2012. ^ Wiseman, Andreas (October 24, 2011). "Paranormal beats Contagion in UK; Kevin starts strong". Screen Daily. Retrieved June 28, 2012. ^ "Contagion (2011)". Rotten Tomatoes. Fandango Media. Retrieved December 31, 2018. ^ "Contagion Reviews". Metacritic. CBS Interactive. Retrieved November 1, 2011. ^ Bradshaw, Peter (October 20, 2011). "Contagion – review". The Guardian. Guardian News and Media. Retrieved June 27, 2012. ^ a b Orr, Christopher (September 9, 2011). "In 'Contagion,' Many Actors but Only One Star: Disease". The Atlantic. Jay Leuf. Retrieved June 27, 2012. ^ McCarthy, Todd (September 3, 2011). "Contagion: Venice Film Review". The Hollywood Reporter. Prometheus Global Media. Retrieved June 27, 2012. ^ Travers, Peter (September 9, 2011). "Contagion". Rolling Stone. Jann Wenner. Retrieved June 27, 2012. ^ Turan, Kenneth (September 9, 2011). "Word of Mouth: 'Contagion' could really catch on". Los Angeles Times. Tribune Company. Retrieved June 28, 2012. ^ Rea, Steven (September 8, 2011). "Crisp, quick, star-laden saga of a deadly disease". The Philadelphia Inquirer. Gregory J. Osberg. Retrieved June 27, 2012. ^ LaSalle, Mick (September 9, 2011). "'Contagion' review: Nothing to sneeze at". San Francisco Chronicle. Hearst Corporation. Retrieved June 27, 2012. ^ Jolin, Dan (September 9, 2011). "Contagion". Empire. Bauer Media Group. Retrieved March 27, 2012. ^ O'Sullivan, Michael (September 9, 2011). "Contagion". The Washington Post. The Washington Post Company. Retrieved June 27, 2012. ^ Ebert, Roger (September 7, 2011). "Contagion". Chicago Sun-Times. Sun-Times Media Group. Retrieved June 27, 2012. ^ "Contagion doesn't skimp on science". New Scientist. Reed Business Information. September 15, 2011. Retrieved September 18, 2011. ^ "Contagion: A Dialogue". Slate. The Washington Post Company. September 9, 2011. Retrieved September 18, 2011. ^ Offit, Paul A. (September 13, 2011). "Contagion, the Movie: An Expert Medical Review". Medscape. Retrieved September 18, 2011. ^ a b "Contagion — DVD Sales". The Numbers. Nash Information Services. Retrieved July 14, 2012. ^ Whitman, Howard (February 23, 2012). "Blu-ray review: Contagion (Warner Bros.)". Technology Tell. Retrieved March 23, 2012. ^ "DVD Sales: New Releases are Spreading". The Numbers. Nash Information Services. January 17, 2012. Retrieved June 29, 2012. ^ "Blu-ray Sales: Overall Sales are in Remission". The Numbers. Nash Information Services. January 17, 2012. Retrieved June 29, 2012. ^ "DVD Sales: Moneyball Doesn't Hit a Home Run, but gets a Solid Double". The Numbers. Nash Information Services. January 24, 2012. Retrieved June 29, 2012.